Item # 139436 Stash Points: 3,995 (?) This is the number of points you get in The Zumiez Stash for purchasing this item. Stash points are redeemable for exclusive rewards only available to Zumiez Stash members. To redeem your points check out the rewards catalog on thestash.zumiez.com. 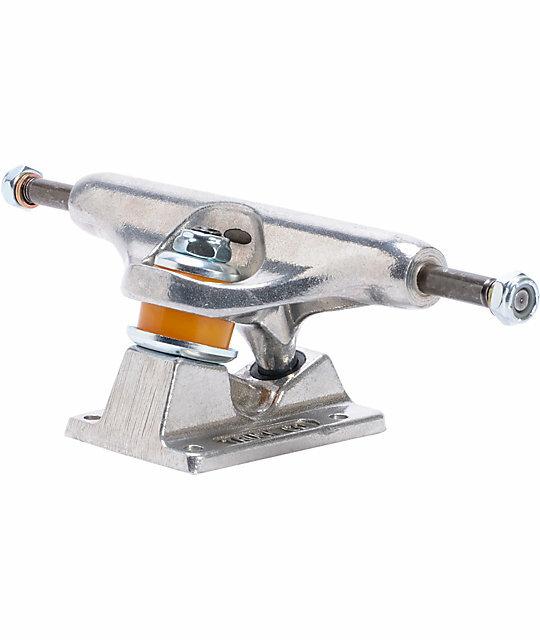 Get the same high quality feel and responsiveness you have come to expect from Independent Trucks with the Independent Raw 139 Stage 11 skateboard trucks but with some new added features. 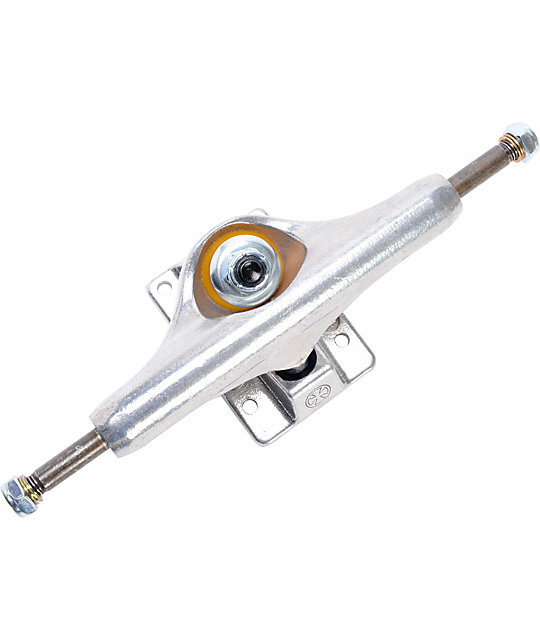 Trucks sold individually, add QTY 2 for full set. Independent Raw 139 Stage 11 skateboard truck. 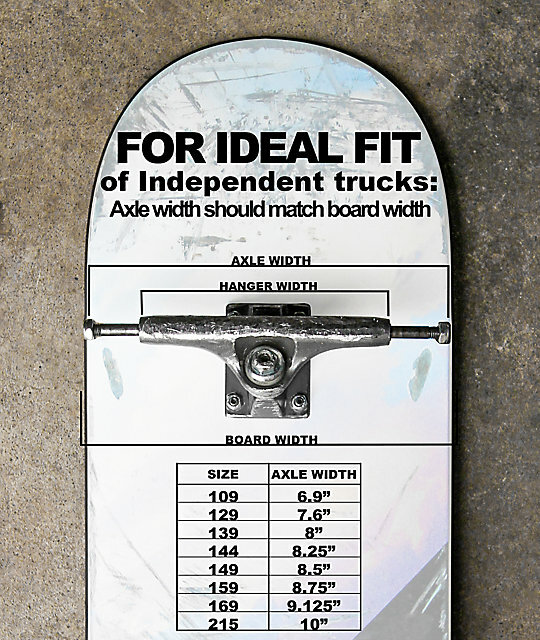 Independent truck sizing is 139. 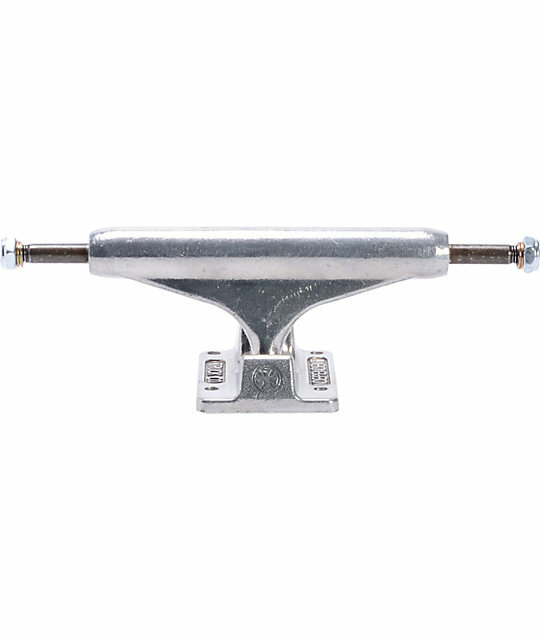 Hanger is 137mm wide for boards 7.75" to 8.25" wide. 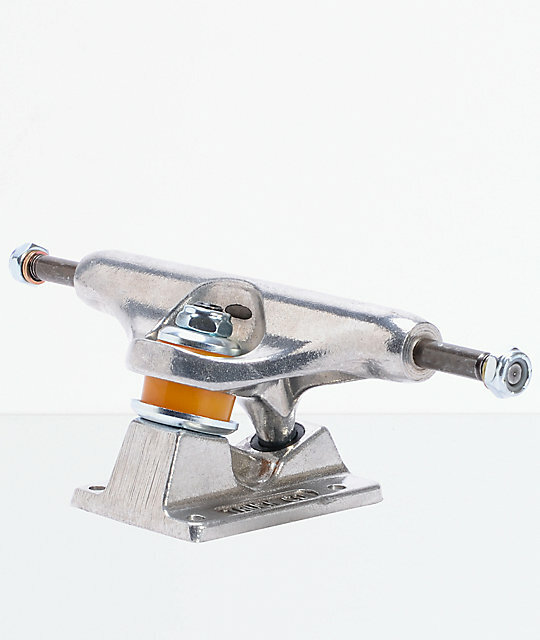 Upgraded version of Stage 10 trucks. 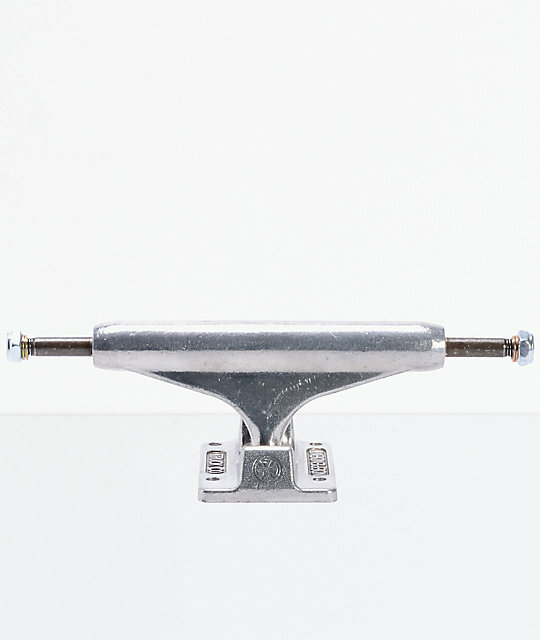 New precision hole drilled baseplate for improved balance and durability. Order quantity of 2 for a set!